Another day, another mind-blowingly fast finals session at the Pan Am Games. Day Three saw four more Games records go down, more high-stakes disqualifications, and a surge in the gold medal count for the Americans. 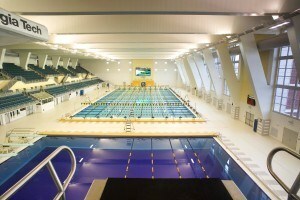 Tomorrow, we’ll see racing in the 100 backstroke, 400 freestyle, 100 breaststroke, and 50 freestyle. Below, we’ve laid out a few of the top storylines to watch for as the Games move on to the penultimate day of competition. The USA’s Nick Thoman is the top seed in the men’s 100 backstroke tomorrow morning, coming in entered 53.46 which is a solid two tenths under the current Games record of 53.66 set in 2007 by American Randall Bal. The only swimmer that might push Thoman in the third and final heat of the morning is Thiago Pereira, who looked to have won gold in the 400 IM last night only to find out he had been disqualified. Pereira is seeded with a 54.38, and he’s on a quest to become the most decorated Pan Ams athlete across any sport. One more medal will tie him for the most medals won by an athlete of any sport in Pan Am history, after he surpassed fellow Brazilian Gustavo Borges with his performance last night to become the most decorated swimmer in Games history. On the women’s side, Hilary Caldwell and Dominique Bouchard have already put together a fantastic 1-2 finish in the 200 backstroke, with Caldwell posting the fifth best time in the world this year to win gold. Bouchard is the top seed in the 100 back (1:00.20) with Caldwell right behind her at 1:00.54, and the Games record is held by Rachel Bootsma (1:00.37). Brazilian Etiene Medeiros, world record holder in the 50 back, isn’t far behind at 1:00.61, and Americans Clara Smiddy and Olivia Smoliga will both be pushing for a good spot in the A final tomorrow night. Nevertheless, all eyes will be on hometown favorites Caldwell and Bouchard. The young starlet Emily Overholt continues to impress as she has become a mid-distance free/IM weapon at an elite level for Canada. While she was DQ’d in the 400 IM tonight despite it appearing as though she had won the gold, Overholt led off the Canadian 800 free relay with a solid time and will try to make her way to a middle lane in the 400 free final. She’s seeded third with a 4:10.07, behind Andreina Pinto (VEN) at 4:07.25 and Gillian Ryan (USA) at 4:08.51. All three of those swimmers, as well as American Kiera Janzen (4:10.25), are entered with times well under Elizabeth Hill‘s Games record of 4:10.48, which was set by the American in 2003. The women’s 50 free is going to be no joke tomorrow. We’ve talked about, and certainly seen for ourselves, how fast this year’s Pan Ams have been thus far, and this event is looking to be one of the deepest we’ve seen. 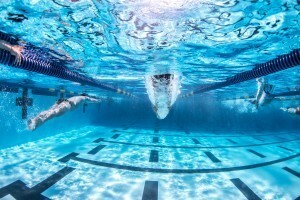 No woman has broken 25 seconds in the 50 free at a Pan Am Games, ever, and the record is held by the USA’s Lara Jackson at 25.09, set in 2011. There are currently SIX women seeded under 25 seconds, and seven total are entered with times faster than Jackson’s record. In heat two, Brazil’s Etiene Medeiros will square off with the USA’s Natalie Coughlin. Medeiros will have the 100 back earlier in the session, while Coughlin hasn’t raced since the 400 free relay on night one of competition. Coughlin has been 24.97 this year to Medeiros’ 24.74, but the American has looked very good this meet, and the race between the two will be great. Heat three features 100 free champion and new Canadian record holder in that event, Chantal van Landeghem, who is seeded with a 24.69. She’s flanked by Brazilian Graciele Hermann (24.78), who is ranked 22nd in this event in the world this year, right behind #21 van Landeghem. Also in this heat is Venezuela’s Arlene Semeco, who actually won gold in the 50 and 100 free back at the 2007 Pan Am Games. The fourth and final heat is centered around this year’s bronze medalist in the 100 free, Arianna Vanderpool-Wallace (24.65), who is better at the 50 than the 100. Her 24.35 from the Arena Pro Swim Series at Charlotte is tied for the 4th best in the world this year, and the Bahamian is the favorite for gold in this race. American Madison Kennedy (24.78), who proved herself a consistent and fast relay leg on the 400 free relay on day one, along with Canadian Michelle Williams (25.00), who grabbed 4th overall in the 100 free, will swim on either side of Vanderpool-Wallace in what should be yet another tight prelims race. It could take a sub-25 second performance to make it back to the A final tomorrow night, which is insane considering that no woman has ever broken that 25 second barrier in Pan Am history. The men’s 50 free will not be quite as deep, though several sprinters will definitely be roaring their engines in prelims. Josh Schneider of the American contingent has the top time in heat one with a 21.98, and his 21.96 from the Arena Pro Swim Series at Charlotte is tied for the 7th fastest time in the world this year. He’s flanked on either side by Trinidad & Tobago sprinters Dylan Carter and George Bovell. American Cullen Jones leads the way in heat two with a seed time of 21.83, though he has yet to break 22.50 this year. Making a strong push for the A final in that heat will be Puerto Rico’s Erik Risolvato and Canada’s Karl Krug. Don’t rule out Argentine Federico Grabich, either. Grabich tore it up in the 100 free, breaking the Argentine national record three different times on day one, and then erasing the 200 free national record on night two. Grabich is seeded with a 22.58, though he took out his 100 free in finals with a 22.95 and has shown his speed thus far in the meet. The third and final heat will feature two of Brazil’s bests, Bruno Fratus and Nicholas Santos. 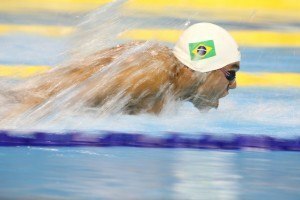 Santos is a seasoned veteran, and has been a part of two Pan Am gold medal 400 free relays for Brazil, though he’s been placing well at international meets for the last 14 years or so. Fratus, who has put down the third fastest time in the world this year at 21.74, is the clear favorite in this race, and is likely the only swimmer at these Games capable of taking down Cesar Cielo‘s Games record of 21.58. Check back here tomorrow morning for a live prelims recap of Day Four prelims, and be sure to follow @SwimSwamLive for live updates as the morning session rolls on. I can’t wait to see what N. Coughlin can do in the 50 free; I so want her to swim a 24-mid. I would like to see her win the gold but AVW looks tough to beat. And van Landeghem is in top form too. I know, but I am just a huge fan of NC because so many commentators have proclaimed the end of her career when she had a less than stellar 2012 Olympics, forgetting what she has done and who she is (one of the best ever IMHO). 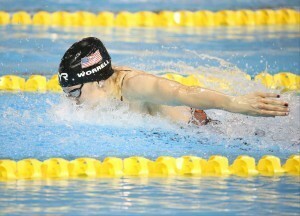 I love how tough she is and how she is experimenting with sprint freestyle. No, I had never seen your link. I wonder if an American TV channel broadcasted the US championships at that time in a non olympic and world year. Anyway, I can’t believe that her coach or someone from Cal has not filmed that race. I don’t remember very well but a world record was expected before the race. Not such an amazing time but at least a sub minute performance. I never set foot in the US before 2007 and even then it certainly wasn’t in Fort Lauderdale. I guess we will have to ask Miss Coughlin in person for that! 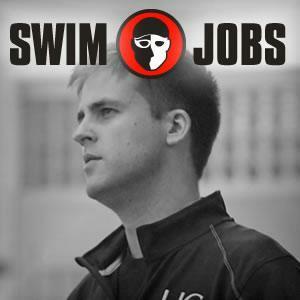 Also really really really curious to watch veteran Nick Thoman swim the 100 back today. I’m waiting for a Smoliga’s revival for 2 years now. Today? Unlike Olivia, Katie Meili is on fire since the last year and could win the 100 breast gold in a very fast time. Overholt vs Ryan vs Pinto in the women’s 400 free should be an interesting battle too. An advice for Overholt and Pinto: if you want the gold, start fast and leave behind Ryan in the first 350 meters because the American always has a monster last 50. 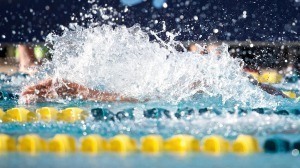 Pereira might scratch back to focus on 200 im and medley relay.